I would like to revised my ebook by changing some pages of the pdf file used for the base, but keep the links, videos, etc. that I have built into the project. Can this be done? 2. 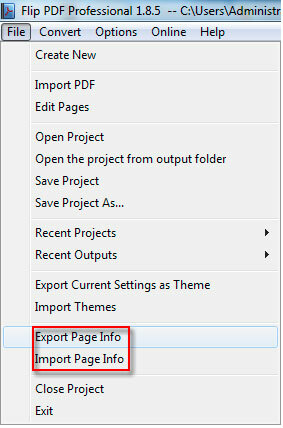 Import new PDF or click "Edit Pages" to delete some pages and add new pages, then click "File->Import Page Info" to import original objects and apply on new PDF file. Now you output completed book project or publish as you want.